Diabetes is a chronic disease that requires constant monitoring and careful diet planning. I have had this disease for 14 years and I have to admit, it is difficult. One of the biggest challenges with diabetes is watching your weight. Ironic as it may seem, diabetics' blood is full of glucose and yet, we are constantly hungry. It is because we cannot absorb the sugar in our bloodstream, giving signals to our brain to eat because we are "essentially" hungry. I used to weigh only 108 pounds in my tiny 5'2" frame. Now, I am up to 130 pounds, placed on 18 units of insulin and 2000 mg of Metformin everyday. There is no other time for me to lose weight than now. There are many diet preparations all promising the same thing - weight loss. I am so happy to have been chosen to receive a free sample of SLIMQUICK® Pure Protein in French Vanilla flavor. My endocrinologist has no worries about me using the product because it is 100% all natural and provides the necessary protein and fiber I need to help me lose weight. The active all natural ingredients are whey protein, anti-oxidants, calcium, Vitamin D and Bio-Pure Green Tea™. I got the product in the mail. It was packaged perfectly and was just about the right size. I made myself a glass and was surprised at how delicious it was. I had tried other protein drinks before but most of them had a funny aftertaste. Slimquick® was different. It was refreshing! It addressed my hunger pangs and kept my tummy satisfied for hours. Slimquick® Pure is the only weight loss supplement designed for us women. We are subjected to daily stress, shuffling between different roles - from career woman, to homemaker, to wife and mother. This may leave us tired and turning to stress-eating to calm us down. However, with Slimquick®, we can get the necessary nutrients we need to boost our metabolism, increase energy, reduce stress, and eliminate excess water in the body. 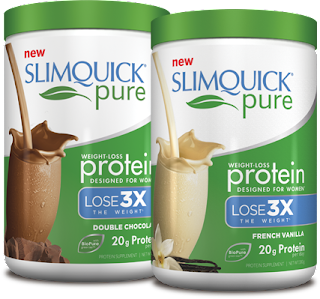 This might be the diet supplement that would help me get back to my ideal weight.Slimquick®, diet, and exercise are my new buddies. Soon enough, I will be able to fit into my clothes again, keep my blood sugar in check, and feel great about myself! 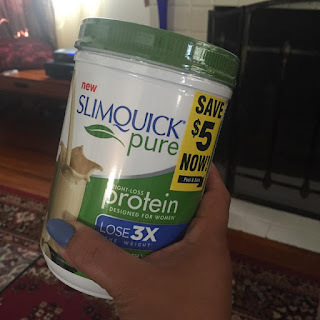 Note: This is a sponsored post powered by Brandbacker for Slimquick®. I received the products for free in exchange for my honest review.